One of Scotland’s best loved parks, Rouken Glen, has switched on its spectacular Electric Glen lighting festival. The must-see event of this winter is setting the Giffnock park alight at night as Electric Glen takes visitors on a journey back to the tropics, and interprets the colours and creativity of the fabrics that were dyed in the park’s burn 200 years ago. Lifesaving hero and East Renfrewshire Citizen of the Year, 13-year-old Andrew Paton performed the Electric Glen official opening ceremony against the back drop of an illuminated boating lake. Andrew saved his grandad’s life last year after he fell out of his boat into Loch Fyne, and he was guest of honour at the event’s launch. 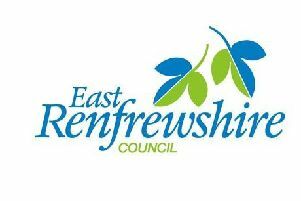 East Renfrewshire Council leader, Councillor Jim Fletcher said: “This has been an astonishing evening and Electric Glen is definitely a must-see event. The festival brings together some fantastic artists working together with visuals, sounds and animation to bring the heritage of the park to life.